Transcend JetDrive Lite for Macbook Air / MacbookPro Retina MemoryToday.com : กล้องติดรถยนต์ PAPAGO!, Transcend DrivePro, Memory Cards, SDHC, SDXC, microSDHC และ CF Card Forums MemoryToday.com :: ผู้จำหน่าย RAM, SSD, HDD & Upgrade Parts สำหรับ Server อันดับ 1 ของประเทศไทย !! Featuring a large f/1.8 aperture and high-quality camera lens, the DrivePro 50 can automatically adjust to different lighting conditions to capture all details of an incident, including license plates, during either daytime or nighttime. The camera also integrates a wide 130 viewing angle and a Full HD imaging sensor for clear and smooth 1080P (30fps) recordings. Powered by the free DrivePro New app--available for both iOS and Android devices--the DrivePro 50 is built with wireless connectivity to allow you to stream, play back, and download videos, or adjust settings directly from your iOS or Android device. This means ease of access to video evidence for reporting incidents to law enforcement and insurance companies. 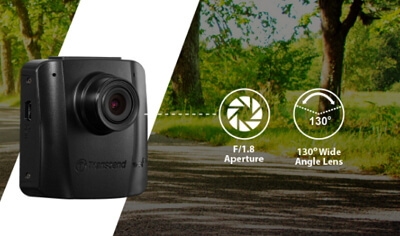 In the event of a collision, the the built-in g-sensor in Transcend's DrivePro 50 will detect the impact and instantly trigger emergency recording mode. This prevents overwriting of the recording made of the critical moments leading up to the accident. This feature may be manually activated by pressing the red button on the side of the unit. 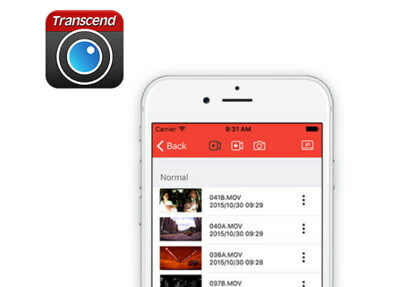 Transcend's DrivePro Toolbox features a user-friendly interface that can sort videos by file name, record date and group. 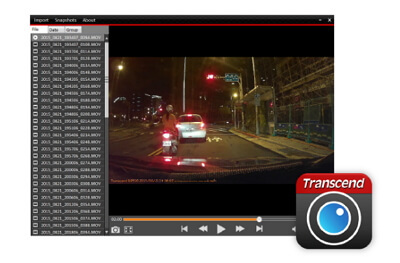 You can select and play videos recorded by the DrivePro without the need to install separate codecs. The tool also includes a screenshot function, which is perfect for reporting incidents to insurance companies or police for claims settlement. 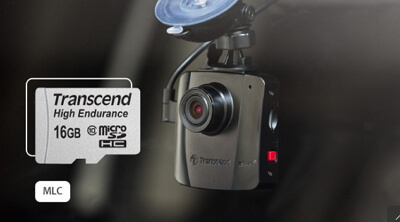 Transcend's DrivePro 50 is bundled with a Transcend 16GB High Endurance memory card built with top-tier MLC NAND flash chips, providing consistent long-life durability and endurance.